SOUL is the hub for organic land care accreditation, news and resources. SOUL was formed in response to the growing need for ecologically responsible land care practices. We cultivate knowledge of organic land care and support its practice. If you would like to get involved with SOUL, you can become a member through this website. We rely on our members to promote SOUL's goals in their communities; there are many ways to contribute and have fun, too! 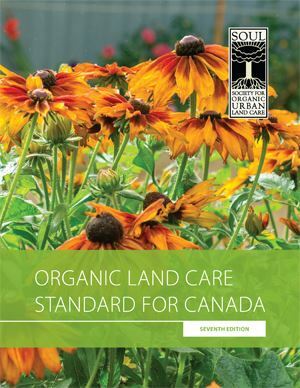 The Organic Land Care Standard is a technical and goals based document that was first introduced by SOUL in 2003 to address the need for a tool to support a successful transition toward sustainable land care practices by individuals, community, industry and government. The Organic land care standard is updated regularly to remain in alignment with the Canadian Organic Standard. Organic land care is the design, construction and maintenance of landscapes using practices and products that preserve and support the health of ecosystems and human communities.